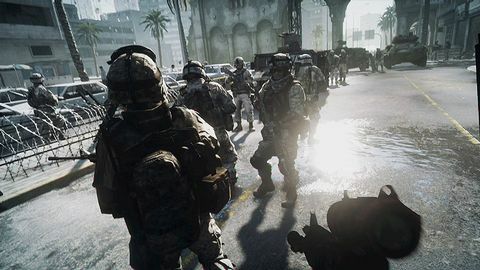 >> Spelar du Battlefield 3 på "fel" server så kan du bli av med ditt Originkonto. "A bit of troubling news from the Battlefield 3 beta. Some modders have found a way to change the player limits on Operation Metro, and have been running servers that let up to 128 players onto the map. RPS have spotted an official DICE forum post, since removed, which says that anyone stumbling into these modded servers could have their Origin account suspended, denying those players access to any games they’ve bought through Origin."